We realize it isn't every day that you look to hunt a big gator, so don't hesitate to let us know if you have any questions about booking a trip. You can always call us at (863) 243-4304 or contact us online. 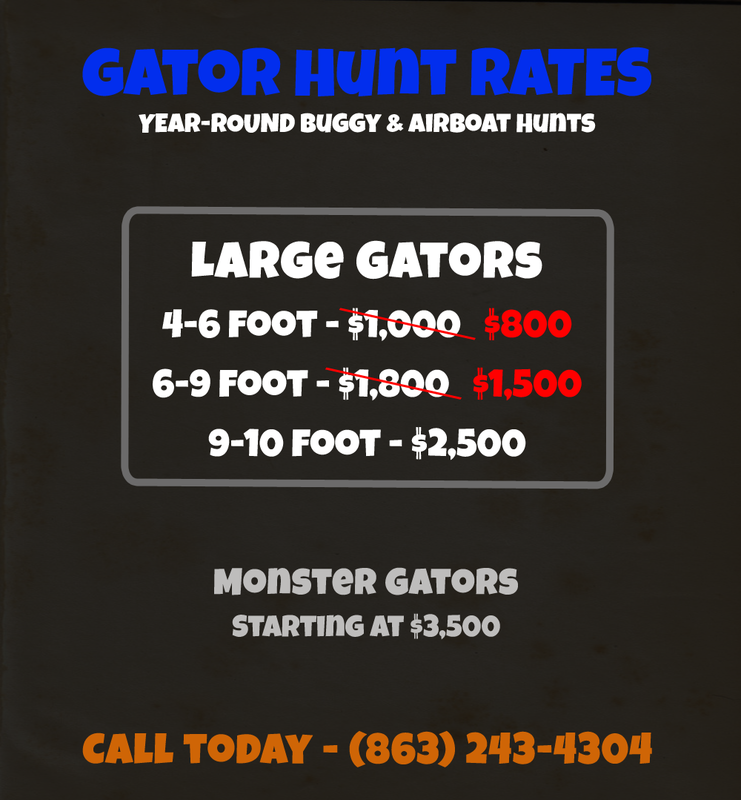 Big ‘O’ Hunts offers the chance to bag the perfect gator during any time of the year. With numerous private and public “honey holes”, the team at Big ‘O’ Hunts can help you find the perfect trophy gator on your next guided hunt. We want all your gator hunts at Big ‘O’ Hunts to be perfect, so we strive to make sure you have the adventure of a lifetime, EVERY time. 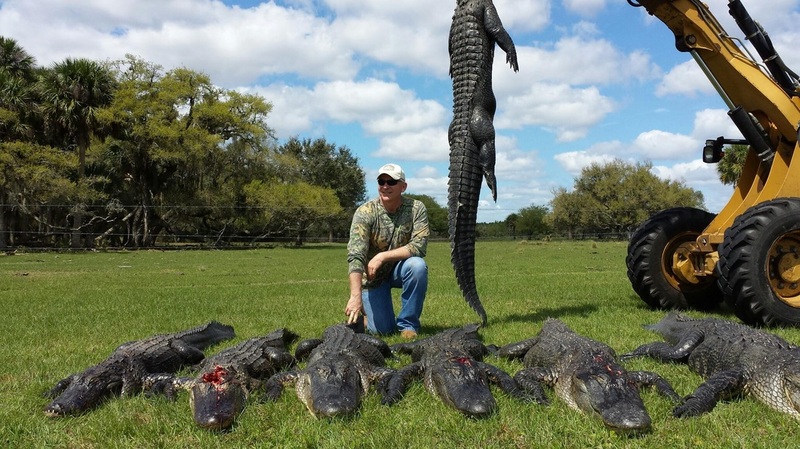 Owned and operated by Casey Ward, a South Florida native whose family has lived and hunted in the area for generations, Big ‘O’ Hunts is a premier provider of guided South Florida Alligator hunts around the Florida Everglades. Head here for more detailed information on our Florida Alligator Hunts. 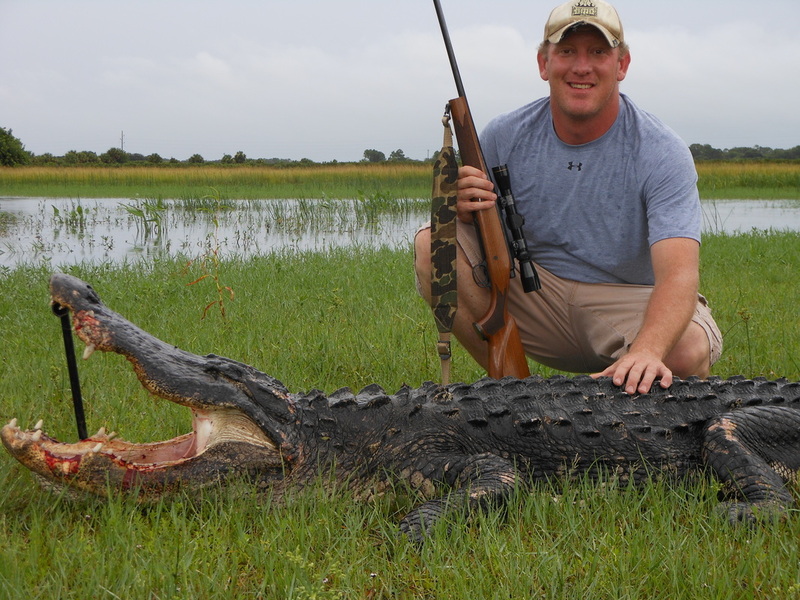 PRIVATE LAND HUNTS: Our private land guided alligator hunts are available year round. With over 40,000 acres of canals, sloughs, and swampland, we're able to help you get the perfect gator on your next guided gator hunt. Whether you're a beginner or a pro - we'll help to make sure you have the adventure of a lifetime on your private land gator hunt. We even have loaner weapons available - from gator bangsticks to a .243 rifle we'll make sure you're covered, but feel free to bring your own. PUBLIC LAND HUNTS: Our public land guided alligator hunts are available during the Florida alligator hunting season. This season runs from August 15th to November 1st. With unparalleled local knowledge, we can take you to some of the best honey-holes on Florida's public waterways as we search for the perfect gator.